Did you know that October is National Pizza Month? I think it’s the perfect month for it! 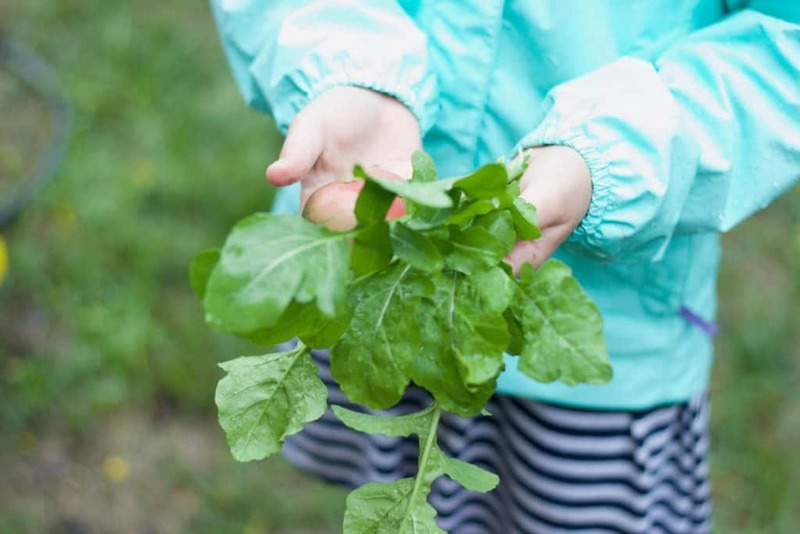 Our pizza consumption tends to wane in the summer months but when the fall rolls around and the nights get cooler and my kids schedules get busier, pizza becomes a go-to dinner for us. If you’ve never made a bagel pizza, you need to get on it. Dinner can’t get any easier than this. Raise your hand if your mom ever made you English Muffin pizzas with tomato paste and cheddar cheese slices! I can still taste them! These bagel pizzas are a slightly fancier version. I hesitate to even use the word fancy anywhere here in this post. Fancy is relative. Bagel Pizza = Kids in the kitchen! Bagel pizzas are a GREAT way to get your kids in the kitchen. I will often slice up a bunch of bagels and let the kids prep the ingredients. The boys always go for pizza sauce while my older daughter is all about the pesto. Shredding cheese, slicing cheese, scrounging for pepperoni or colorful peppers are all fun tasks for the kids. At this time of year, we even have peppers still in our garden as well as chives, scallions, and crunchy arugula – an excellent topper AFTER the bagel pizzas or pita pizzas come out of the oven! We discovered that pitas make just as excellent a quick pizza base as do bagels just this year. 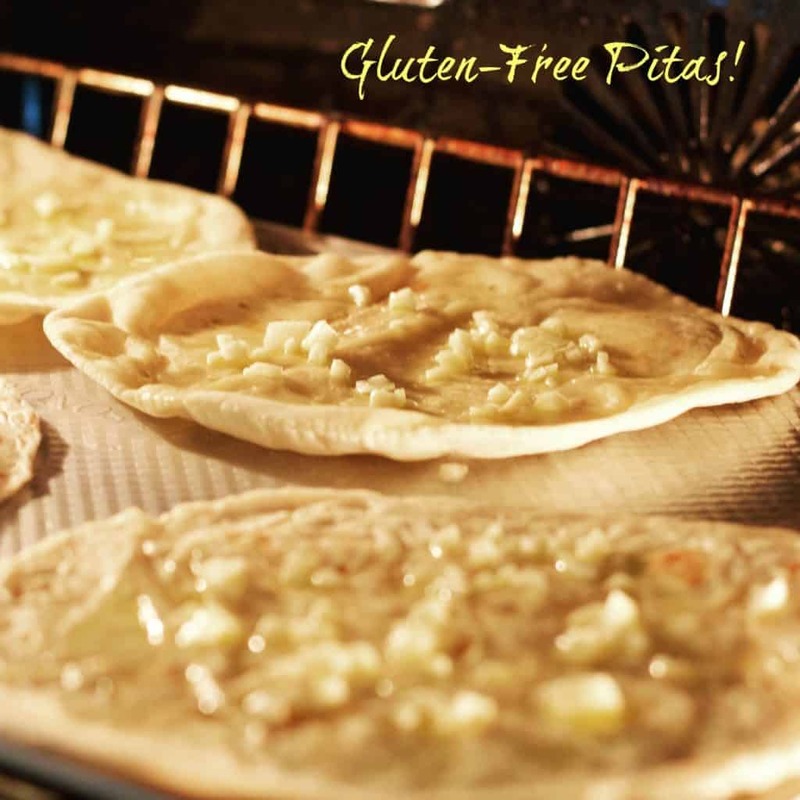 We were so lucky to find Against The Grain Gluten-Free Pitas at our local Earth Fare supermarket. So good!! 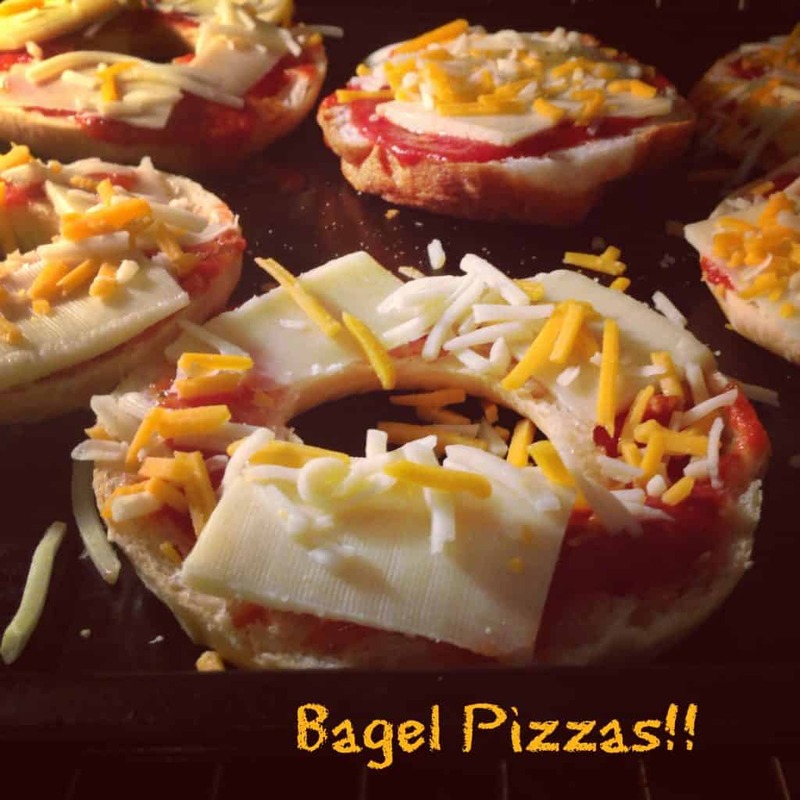 Grab some bagels and put your kids to work making these easy pizza bagels! Slice bagels. Arrange evenly on a cookie sheet. Spread about 1 to 2 tablespoons or pizza sauce or pesto over each bagel slice. Cover evenly with shredded mozzarella or slices of fresh mozzarella. Add any assorted veggies or pepperoni. Cook at 375 in the top half of the oven for 8 to 10 minutes. And, for 50 more pizza ideas to help you celebrate National Pizza Month, be sure to check out all of our Sunday Supper friends below! I feel like I’ve made pizza out of almost every bread product but never a bagel. Why didn’t I think of that? My son will love this. Pizza is his favorite food and bagels come in at number 2. So this is perfect for him. Ha! That’s perfect, Denise!! I hope he loves them. My kids love bagels, too! And, these pizzas work great on regular bagels or gluten-free so it’s perfect for all my kids! We used to make these for after school snacks. Always a hit! So easy! Even I love to snack on them! I love pizza bagels! I think it’s also nice to have a garden helper! YES! I love bagel pizzas. They’re so easy and delicious. And fun for the kids. Very kid friendly!!! Thanks, Christie! A perfect lunch. My son has a bagel at least 3x a week, I bet he’d gobble up a pizza-fied one, too! Thanks, Lauren. I forget how easy it is to make a bagel pizza and how much my kids LOVE them! Do it! I bet your son will love it.